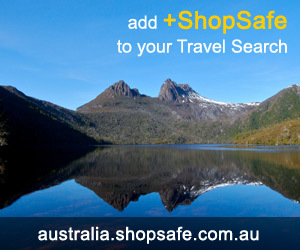 There are 9 shops in the ShopSafe USA Finance Online Shopping Category. Agreements Etc. provides professional legal documents at a fraction of the cost charged by law firms. Their software will guide you, step by step, through all of the requirements you need to build a customized agreement. Mvelopes Personal is a quality online personal spending management system that allows you to easily view and control your finances anytime, anywhere. With online and mobile access, all your spending information is always at your fingertips. Enroll today to start using Mvelopes for FREE. Listing more than 1.8 million foreclosure, preforeclosure, bankruptcy, FSBO and tax lien listings across the United States all located conveniently in one place. Assisting first time buyers step-by-step through the process of how to buy a foreclosure and other helpful links, state-specific laws and educational articles. Lemon gives consumers a fresh way to see their money and spend it smarter. Lemon allows you to capture all of your receipts so you can throw away the paper, keep the important stuff, and see your money in a whole new way. ADVFN offers private investors free streaming prices from NASDAQ, NYSE, Dow Jones and many more indices from around the world. They have a range of powerful stock tracking tools and charts which will allow you to track your investments all on the one website. Quicken offers a variety of software products that help people manage their personal and small business finances more effectively. With all your accounts in one place you are able to get a complete picture of your personal and business finances. Free, Easy Money Management Online - Free Quicken Online brings together all of your financial information online, so you can easily manage your simple personal finances. AccountNow is a Checking Account alternative that lets you borrow money and build a credit history. This is not a Credit Card - only money that is added to the prepaid account can be used via a Debit Mastercard. All else failed? Let us help. If you want to see more Finance Online here, please e-mail finance@shopsafe.cc. Please do not change the subject line of your email. If the subject line does not contain "Add to ShopSafe Online Shopping" it will not be read.